A disabled single and two double rooms for wheelchair users are located in the north wing of the hotel. The single room is located on the 3rd floor with a cozy attic wall. 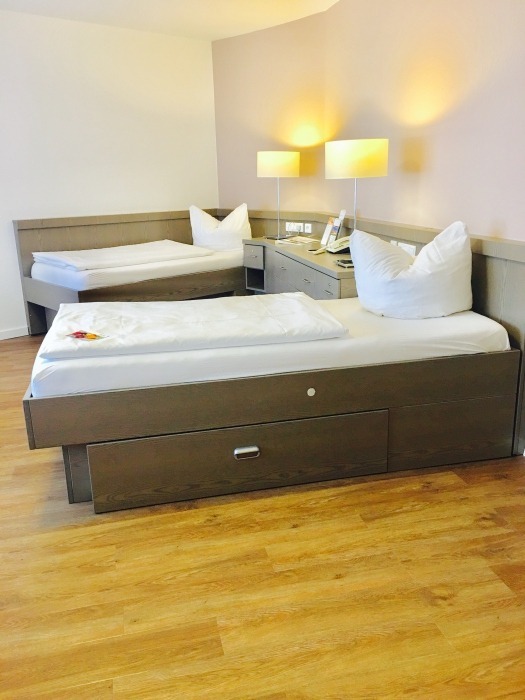 The double rooms are on the 1st and 2nd floors and are equipped with twin beds. Each room has a comfortable couch that can be used for extra sleeping if needed. The bathrooms are large and spacious and access friendly for a wheelchair. The disabled rooms have no balcony. The rooms can be reached easily via lift.